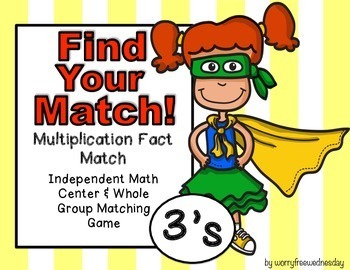 My students love to "find their match!" We get rid of the wiggles while practicing our math facts! 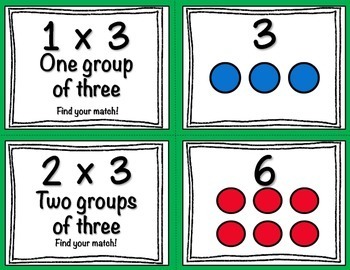 This activity makes a great Brain Break or lesson introduction. 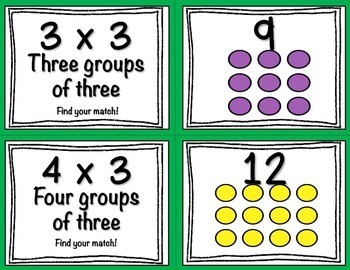 Once students "find their match," you have random partner pairs to practice communication, cooperative learning, etc. 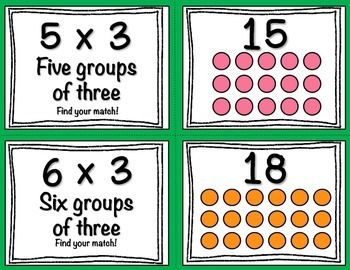 Cards can also be used in independent math canters. This product only contains the 3's (1-12). Look out for new multiples coming soon! Laminate for durability and enjoy! Please leave feedback! I appreciate and read every comment. Let me know if there is something I can adjust for you.